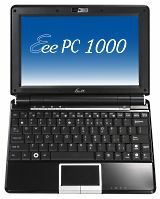 Good things come to those who wait for Asus Eee PCs- if you were interested in the Intel Celeron-powered 900 Eee PC or the Atom-powered 8.9″ Eee PC 901 or the 10.2″ 1000 or 1000H, prices have been dropped across the board, at least in the US. Whether this is in response to netbook offerings from Dell or Lenovo, or even Acer Aspire Ones showing up at Best Buy and Circuit City (and apparently selling well), it’s hard to say. Asustek has been running some $100 rebates for a few months now on certain Eee PC models, but this the price drops are immediate. This entry was posted in Announcements, ASUS, Featured, Intel Atom, Netbook, News. Bookmark the permalink.